When it comes to driving in bad weather there are some small adjustments which can you make to help you stay safer on the road. This article has some information to help you do just that. The weather can often become so bad that many motorists simply refuse to drive in it. And while this can work for the majority of the time there will always be times where you just need to get in the car and drive. To help you out during those times, below are some tips from Bill Rigdon to consider for changing your driving style and also ensuring that your vehicle is up to the task! How Are Your Tires Doing? If you notice any of the above, be sure to get your tires looked at by a professional as soon as possible. 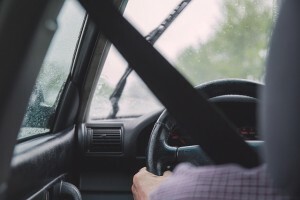 Unless you know the driving history and driving style of every motorist around you as you drive, the best thing that you can assume is that they aren’t as good at driving during wet weather as you are and drive extra-cautiously. While this doesn’t mean that you need to wait until the car in front of you has reached the next red light before you start to accelerate, it does mean that you should just be a little more aware as you drive. On the subject of distance, other people being potentially bad drivers isn’t the only reason for you to keep your distance from the cars around you. As far as vehicle safety technology and tire tread design have come, your car will still take longer to come to a full stop during bad weather. This is because of a range of reasons, from your braking system itself being affected by the cold to the conditions of the road. Whatever the reason for your drive, just remembers to stay a little further back than you usually would. Click here to buy AMSOIL Signature Series 0W-20 Synthetic Motor Oil, a motor oil which has been purpose designed to get the best performance out of your engine and keep it working for longer. Call Bill Rigdon today at (503) 329-9004 to place your order or to learn more. Of course, on the flip side, when it comes to accelerating it’s another good idea to take it slow. While it may be really cool to see somebody in the movies spin the wheels of their car, and maybe even funny if Chevy Chase is the one driving his family to another vacation, in reality, it’s just plain dangerous and unnecessary. For this reason, each time that you move from a standing stop, take it a little easier. This doesn't mean that you have to crawl off the line at a snail's pace, just be sensible about how you accelerate so that you can merge with traffic safely. When you drive during heavy rain it’s vital that you can see the brake lights of the car in front of you. Many times, this is the only way you know where the actual road is! Now imagine this situation without these warning and guiding lights. That’s exactly what could happen to the driver behind you if you don’t check your safety lights. Every few days, just give your brakes a tap and check in your mirror to see they are working along with any indicator lights. If you can see that any of them are out or are ready to go out, replace them immediately. Keeping your car in good shape is vital for ensuring that it can keep you safe and move on the road, no matter the weather conditions. To get the right product for your vehicle's synthetic oil change, call Bill Rigdon at (503) 329-9004 and speak with an expert. If you prefer, the online store has expanded information available about each of the high-quality AMSOIL products.